Hello gentle readers, and welcome to the SwitchArcade Round-Up for March 6th, 2019. Today we’ve got a pretty full article, with reviews of both Treasure Stack and Swords and Soldiers 2 Shawarmageddon, some interesting news, a few new releases, and the usual sales information. All in all, pretty busy for a Wednesday, but I suppose that’s how it is sometimes. Anyway, there’s plenty to read and precious little time to read it (cosmically speaking), so let’s get to it! It’s about that time of the month where Nintendo announces the newest additions to the Nintendo Switch Online app. Like the last couple of months, the releases are a bit different between Japan and the West. Both regions are getting Kid Icarus, the slightly-flawed classic action-adventure game. North America and Europe will also get StarTropics, an action-adventure game that released exclusively in the West in 1990. In the Japanese Famicom Switch Online app, StarTropics will not be available. Instead, Konami’s Yie Ar Kung Fu and Nintendo’s Fire Emblem will step into the line-up. Neither game was originally released outside of Japan on the NES, and in the case of the latter game, a localization would be both extensive and required for Western gamers to enjoy. These games will be added to their respective apps on March 13th. The latest Spirit Board event for Super Smash Bros. Ultimate was announced today, as it usually is each Wednesday. The title this time is Taking the Lead, and it highlights Spirits from racing games. While the event is running this coming weekend, said Spirits will appear more often. If you beat them, you’ll earn extra Spirit Points. 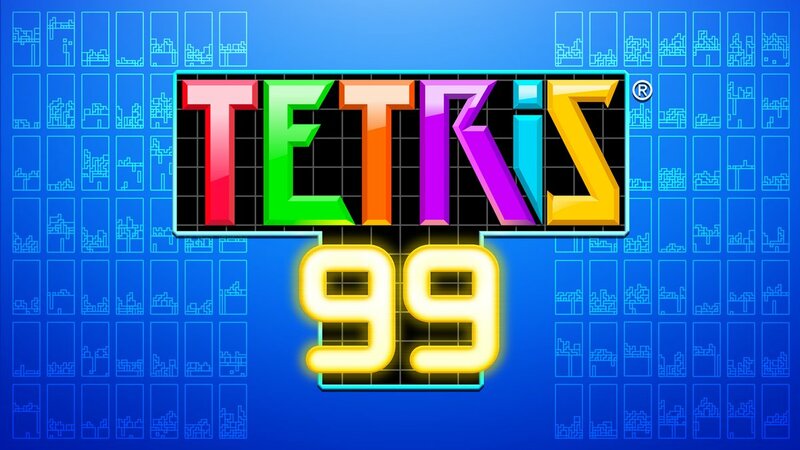 Tetris 99 is proving to be the shot in the arm that Nintendo’s Switch Online program needed. Is it worth buying a subscription to play it alone? Well, I can’t tell you that, but here’s something interesting to consider. Nintendo is holding a tournament in the game this weekend called the Maximus Cup Online. 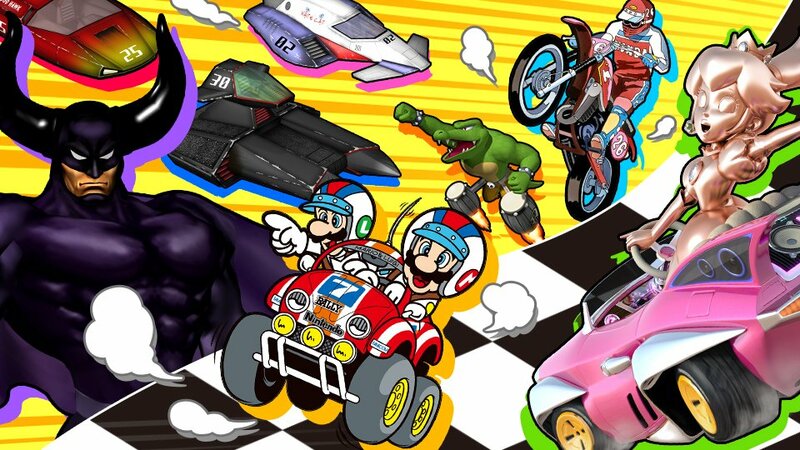 The goal is to take first place as many times as possible, and the top 999 players will each receive 999 Gold Points credited to their Nintendo accounts. Those points can be used for My Nintendo rewards, spent on the Switch eShop, or used to help pay for a Switch Online subscription. So yeah, if you’re good enough at Tetris 99, it might literally pay for itself over time. Fortnite (Free) finally got controller support on iOS and Android with Patch 7.30 and even allowed for 60fps gameplay on a few Android devices. Patch 8.00 arrived with Season 8 last week with big changes and today, the first big patch of Season 8 is here adding Buried Treasure. Downtime is currently going on for this update and matchmaking will return soon. Before getting into the Buried Treasure, this patch brings the Slide Duos Limited Time Mode. This mode has ice blocks on everyone’s feet and sounds as fun as it will be annoying with sliding all over the place. 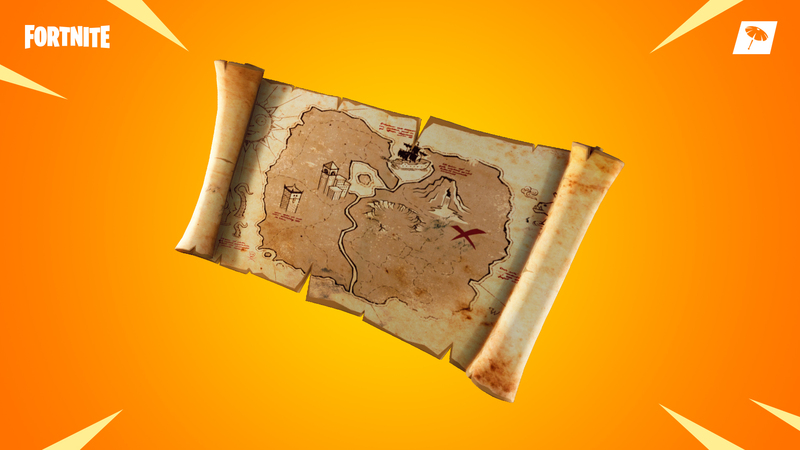 The Buried Treasure map lets you track buried chests on the map. These chests have legendary loot. You need to dig up the chests using your pickaxe. You can only hold one map at a time. Epic Games is also testing format updates for tournaments with the Gauntlet Solo Test Event and the Gantlet Duo Test Event. These will be on until March 9th at midnight GMT. The final bit of note in the patch is a fire button fix for mobile that doesn’t have you looping the fire action anymore when you press the fire button with two fingers. If you do play Fortnite, we have a dedicated channel in our Discord. Make sure to join our Discord channel here to squad up and get some Victory Royales. If you play only on Nintendo Switch, you can now play with PS4 gamers as well thanks to Sony finally allowing true cross play. If you’re curious about which Android devices can run Fortnite at 60fps, read this. What do you think of Season 8’s changes so far and did you end up getting the Battle Pass for free? Are Two Computer Monitors Better Than One? We live and breathe technology these days. Your day is not complete without using your smart device, logging into your various social media platforms, or browsing the web for the latest news or offerings. While the size of products is getting smaller and smaller with each new model released, those who work can better appreciate the value of using two monitors. 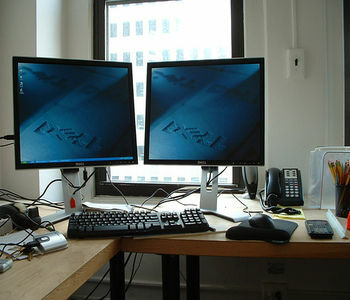 Having a dual monitor will allow you to do more work than using one computer monitor alone. Imagine being able to see different data and being able to multitask because you can do multiple things all at the same time. That is the obvious edge of using a dual computer monitor. While it is not something for everybody, those who work with technology understands its value and can better appreciate the benefits it offers. The first benefit from this set-up obviously has to do with convenience. It allows you a convenient data access especially if your work requires you to check on different data simultaneously like for professional in the field of real estate. 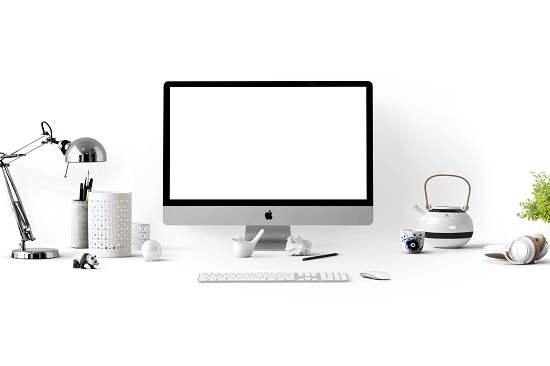 Even writers can benefit from having two monitors because you no longer need to switch back from your browser to your word processor because you can now do your research on one monitor and continue your writing on the other. Walk into any fast-paced startup or high-powered tech company in Silicon Valley and you’ll see a lot of things that might not be traditional for a workplace. Unorthodox decorations, strange lighting and open floor plans will be the order of the day. Yet while tech company environments may be one-of-a-kind when it comes to snack bars and ping pong tables, one thing all seem to share are multiple computer displays for their computing needs. Using more than one monitor, in this way, has a long history. Banks of displays have their role everywhere from business to the realms of science fiction. It’s only relatively recently, however, that home and business computing has reached a point where it’s cheap enough — and computers are powerful enough — to run multiple monitors without extra internal hardware. Those people involved with data entry work can also attest to the convenience a dual monitor offers and it can also help reduce the likelihood of making errors since data are no longer mixed up in one screen. Even in the field of customer service, you’d be able to better assist customers if you are able to actively monitor all your activities. It means you will no longer be caught off guard, so you would be able to prepare and look for answers to customer questions in half the time it would take you when you only use one computer monitor for work. Hence, using both at the same time likewise boosts productivity. You may get along just fine with only one computer screen, but adding a second can give you much more room to work. This upgrade isn’t just for creative professionals or seasoned programmers—it lets anyone spread out their apps, edit documents side by side, and multitask like a pro. That, in turn, will boost your productivity and efficiency. Pirates Outlaws () is a new roguelike card game from Fabled Game Studio that you may have seen floating around the pre-order section in the App Store, and now it’s graduated from pre-order status to full release. Well, sort of. It’s currently live in some parts of the world but hasn’t quite arrived in the US App Store just yet, but that should be happening within the next few hours if previous pre-orders are anything to go by. What’s important is that Pirates Outlaws looks really cool. As stated it’s a roguelike card game where you play as a pirate captain who must recruit a team of other pirates to go on excursions to exotic locales plundering loot, new cards, and valuable relics. You won’t go unchallenged though, and you’ll have to partake in turn-based card battles to reap those rewards. Here’s a trailer. Pirates Outlaws features 50 outlaws to battle and 20 unique bosses to defeat across three different chapters with more planned for updates. There are six different pirate captains to start off with that each have their own unique abilities and pre-made deck of cards, and there are more than 250 additional cards to collect throughout the game. The game costs 99¢ on both iOS and Android, but it does contain in-app purchases, and I’ll be curious to see just how that is implemented into the game as a whole. Whatever the case I’m very interested in checking out Pirates Outlaws and love the look of the game in the trailer. If you’re on iOS you can grab it with the link below and if it’s not quite out of pre-order in your area yet it should be in the next couple of hours. It looks like the version for Android on the Google Play Store is available already no matter where you are, and whichever version you end up with be sure to drop by the forum thread to share your thoughts about it. Here’s something interesting. Did you know that there’s such a thing as the National Clean Out Your Computer Day? Yes, there actually is such a day. Monday, Feb. 11 is National Clean Out Your Computer Day. When you clean your computer, it’s not just about dusting off your screen and wiping down the keyboard. It’s important to clean the hard drive, updating software, and getting rid of outdated programs. That goes to show how important it is to clean out your computer, inside and out. It makes perfect sense. After all, you need to keep your computer in tip top shape so that all your valuable files are protected. Cleaning your computer’s hardware makes the entire system run more smoothly and keep it running longer. Regular cleaning protects not only your investment, but the important data stored on it as well. Every few days or so, give the screen a good wipe and empty the crumbs out of the keyboard. Those simple tasks will reduce the risk of it breaking and overall help the computer work better. A good wipe every now and then is not enough. Cleaning out your computer goes way beyond than just wiping the monitor and the keyboard. You also need to make sure that the fan vents are clean. You should also regularly clean the dust out of fan vents which can help prevent the computer from overheating and potentially breaking causing you to lose all of your valuable information stored on it. Joseph Sharp, co-owner of Lead Tech Service in Wilmington says cleaning the dust out of the vent fans is a fairly simple task. If you are not sure as to how to go about cleaning the fan vents, don’t worry. You can just have your computer cleaned by a professional. That way, the right tool can used to clean the fan vents. It’s recommended that you have your computer cleaned every once a year. Keep that in mind especially if you want to your computer to last long. A clean computer also means that the software is updated. If it’s not, it could increase the chances of data loss and that’s not good for you. Backup your photos, videos, and any other important information. Perform maintenance tasks to make sure your computer can save files without accidentally corrupting them. There’s just something about the 1980s that people seem to love. I mean, I feel like that mostly extends to people who actually grew up in the ’80s in some capacity, and that neon colors and boombox beats just call back to that simpler time of their childhood. Because objectively speaking the ’80s was just… awful. Big hair, terrible clothing styles, questionable music. There was a lot of great stuff in the ’80s don’t get me wrong, but we can’t ignore all the bad. But you know what? As a child of the ’80s I absolutely LOVE all that terrible ’80s stuff, and I’m as guilty as anyone of squealing with joy over anything neon- and synthesize-soaked. Indie developer Tap Tap Good has a similar affinity for the ’80s, and I don’t think I’ve ever seen a video game that’s more of an homage to the ’80s than their upcoming game Super 80s World. Just check out the trailer. So as you can see, you’ll play as a man named Dan Camaro (!) who is on a mission to prevent the nerdy Dr. Noid Wormser from using his machine to delete his most hated of all decades, the ’80s, year by year. Yes, the premise of Super 80s World is just as ridiculous as any number of ’80s action movies with just a dash of “rocker vs nerd” stereotype. It’s a runner style platformer where you’ll go through five levels each themed after a year of the first half of the ’80s collecting memorabilia such as VHS tapes, audio cassettes, and video game cartridges to prevent that year from being deleted. This memorabilia calls back to tons of actual ’80s movies, songs, and games with Dan Camaro offering his own humorous quips on each of them. Here’s another trailer from last fall that shows off a bit more of the actual gameplay in Super 80s World. From that trailer you can see the variety of moves that you’ll be able to unlock and use in Super 80s World, like double jumping, dive bombing, and teleporting which breaks up the action from your typical runner and lends it more of a hybrid feel with a traditional platformer. It seems really cool whether you’re super into the over-the-top ’80s stuff or not. In the coming weeks Tap Tap Good will be running a beta test for Super 80s World and once they’re ready to start recruiting testers we’ll let you know so you can get in on the fun. The game is planned for iOS initially but Android and Steam versions are also in the works for release sometime after the iOS launch. Speaking of which, Super 80s World is available for pre-order on the App Store right now with an expected release date of April 18th, so even if you don’t want to get in on the beta testing you can look for the official launch next month. Today has been a bit of an awkward day around here on TouchArcade, as Jared already posted about Hook Champ coming back courtesy of GameClub, with what might be the biggest disclaimer we’ve ever had on an article, but I figured I’d provide some additional color to folks on what I’ve been up to. Back on February 22nd I announced that this Friday would be my last day at TouchArcade. I’ve had a outpouring of support from people thanking me for all the work I’ve done on the site, all the things I’ve done to help their game or studio, and wishing me good luck for whatever I’ve got ahead of me. This morning a guest editorial by me was published over on GamesIndustry.biz, but I figured I had some additional explaining to do for the TouchArcade community who have been so awesome to me over the last decade. It has been a decade too, as almost ten years ago to the day my first review was published on TouchArcade, in what would become the most awesome accidental career move I could ever make. When personal digital assistants and cell phones started to become a thing when I was in high school, I found my next obsession. This of course led me to be the earliest of early adopters on the very first smartphones as these things could not only play games but also do so much more. Regardless, they were almost all universally terrible, at least until the iPhone came along. 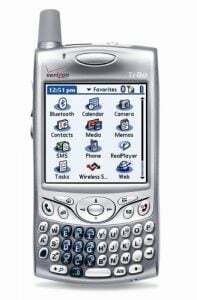 (Although I will give a strong honorable mention to the Palm Treo 650, which was a really great device by pre-iPhone standards.) I was one of those people standing in line to buy a $500 phone overnight in front of the Apple Store, and it was pretty remarkable what a difference even the first generation iPhone running iPhone OS 1.0 was compared to everything else on the market. 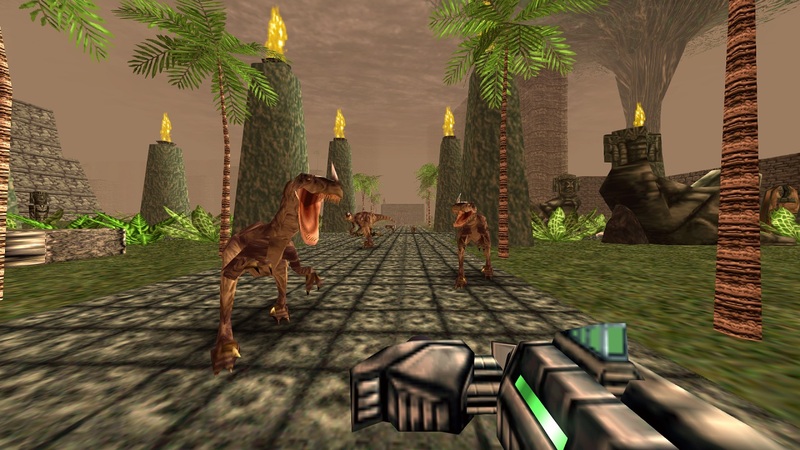 Preserving the history of games on iOS has been unlike any other platform out there. From even the earliest consoles and computers there’s always original hardware and original game cartridges that you can track down and play in physical form, and there’s also no shortage of emulators for basically any platform you can think of that allow you to play classic games digitally. So if a gamer who didn’t grow up in the ’70s or ’80s or ’90s wanted to go back and see the roots of the hobby they so enjoyed, it’s not especially difficult to do so. With iOS games that’s just not the case. Over the years Apple’s new hardware revisions and especially the new operating system revisions have wreaked havoc on developers, requiring near-constant maintenance to keep games and apps running properly through all those revisions. With the race-to-the-bottom pricing of mobile software it often doesn’t make any sort of sense for a developer to go out of their way to make sometimes massive changes to an app they sold for a buck or two many years back just to keep it alive and kicking in today’s iOS landscape. And outside of hanging on to a bunch of older iOS devices running various old versions of software, or maintaining some sort of jailbreak device that can access a bunch of games that are no longer on the App Store, there’s no real easy or official way for your average person to be able to experience many of the great games that have launched on the App Store over the past decade, and that’s a crying shame. We’ve bemoaned this fact many times over the years and wished that somebody would do something about it, and finally somebody is. It’s called GameClub and it’s a new service that’s hoping to work with developers to find ways to bring back some of the App Store’s lost classics and reintroduce them to the world. And one of the first confirmed games to be making a comeback is one that’s an absolute all-time favorite around TouchArcade Towers, Rocketcat’s Hook Champ. GameClub has officially revealed itself to the world today, and if you head over to their website you can actually register with your email to sign up for their Early Access program and check out Hook Champ and some of the other game titles they’ve lined up to re-release to the world. In addition to just playing whatever titles are planned for the program, the site also mentions that Early Access members will help “shape its direction” which I’m guessing means that if there’s an old title you’d like GameClub to chase down and bring back then you’ll be able to voice that opinion to them as well. You can also follow along with GameClub on Twitter to see whatever it is they’ll be up to.